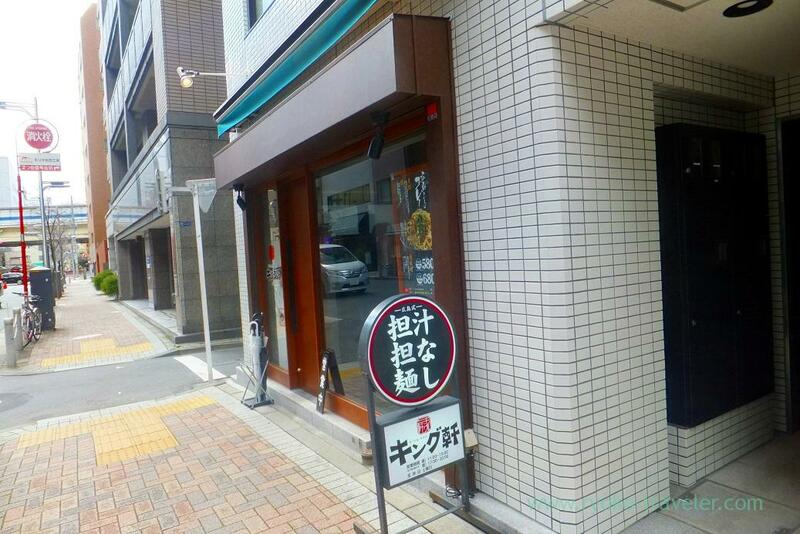 Popular dandan noodles shop in Hiroshima started their business in Tokyo, too ! I like Chinese dandan noodles without soup, but I heard there’s also Hiroshima-style dandan noodles without soup and wanted to eat for a long time. Because of such a high popularity of Chinese dandan noodles these days, some Hiroshima-style dandan noodles shops in Hiroshima started their business in Tokyo, too. King-ken is one of the shop. 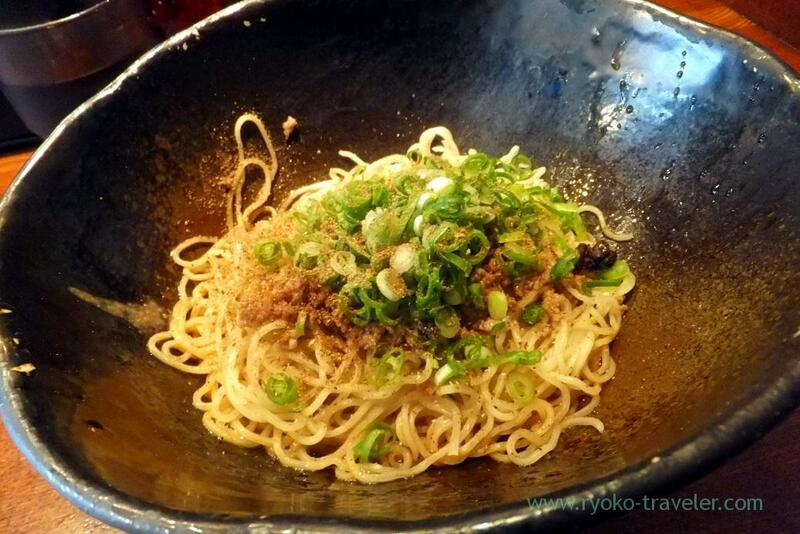 It is popular Hiroshima-style dandan noodles shop in Hiroshima. They are open Tokyo branch near Hamamatsucho station. Their dandan noodles is very inexpensive. 580 yen. 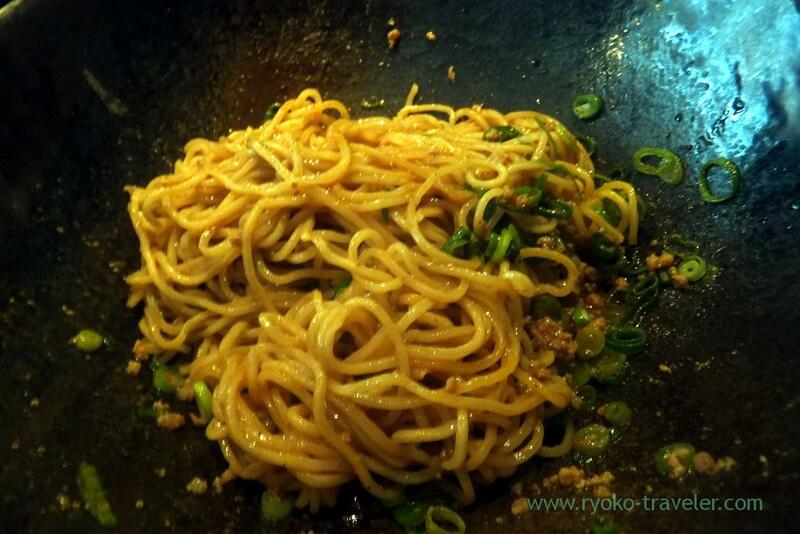 It have noodles, sauce and green onions, and a little minced meat only. Degree of spiceness can be choosen from 0 to 4. They say 2 is normal. So, I chose level 3. I bought the ticket at the ticket vending machine just close to the entrance. My dandan noodles was served in five minutes. The flavor of Sichuan pepper was good. I mixed altogether well until noodles completely dressed with sauce, as they say. So much Sichuan pepper on it. My tongue got numb. I love this sense 🙂 The noodles was narrow. They prepare Sichuan pepper and red pepper on the table. We can enjoy some tastes with one bowl of dandan noodles. 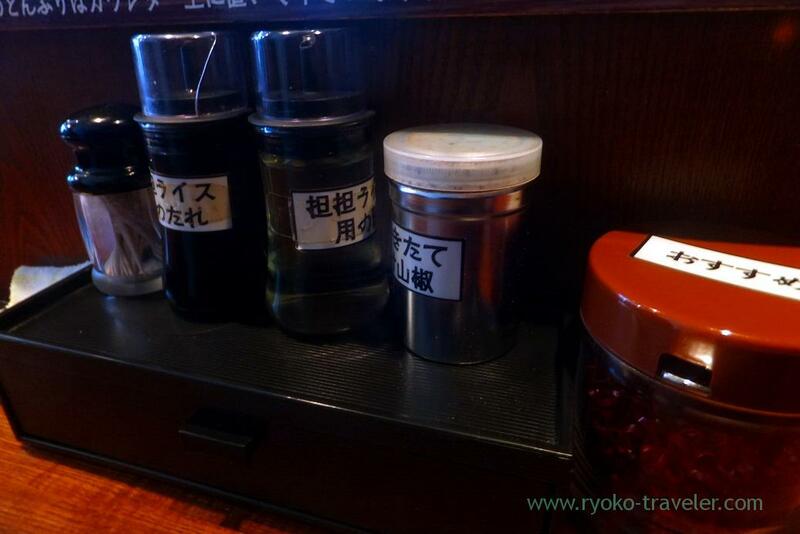 Motoyawata : New branch of Sansar (サンサール) !